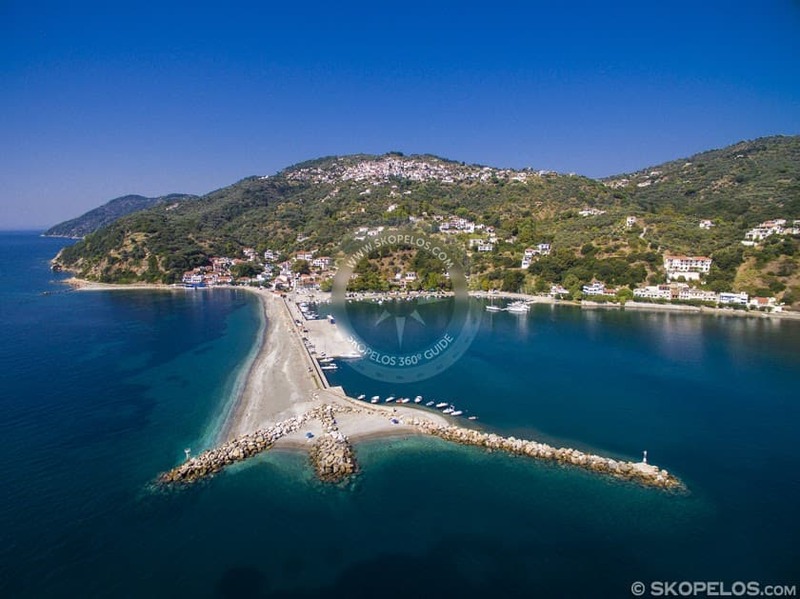 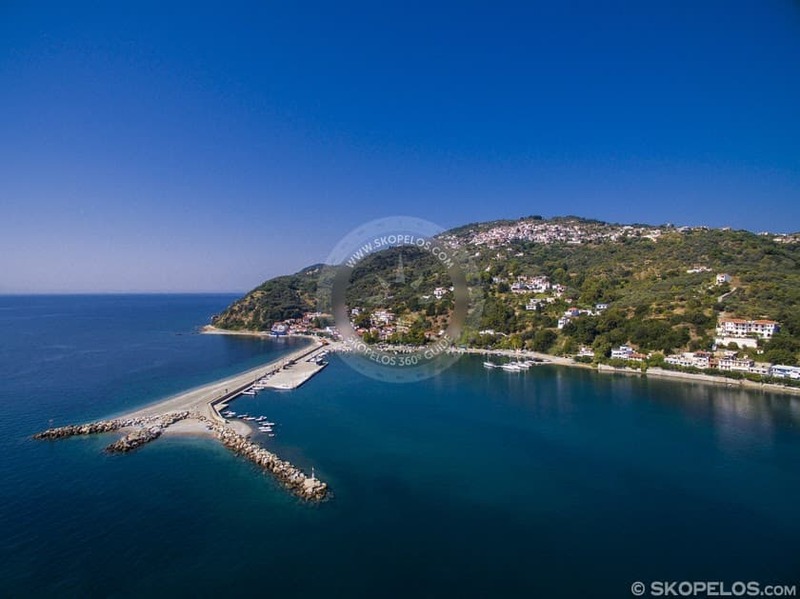 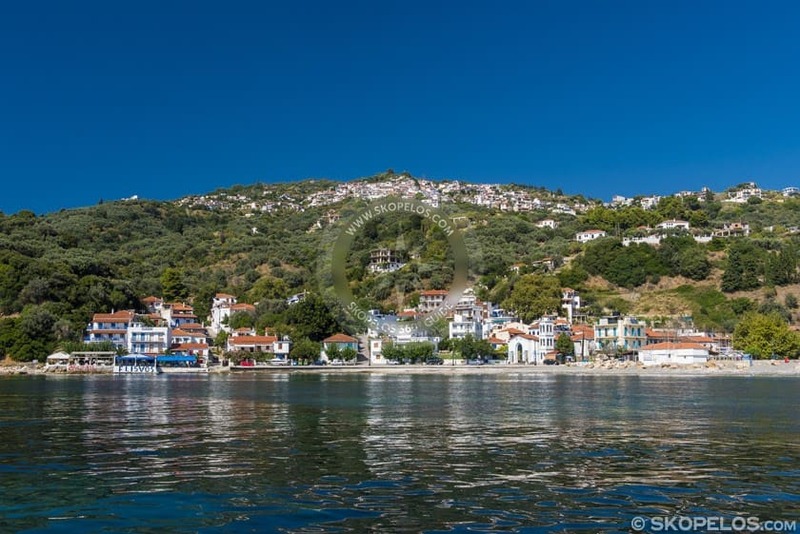 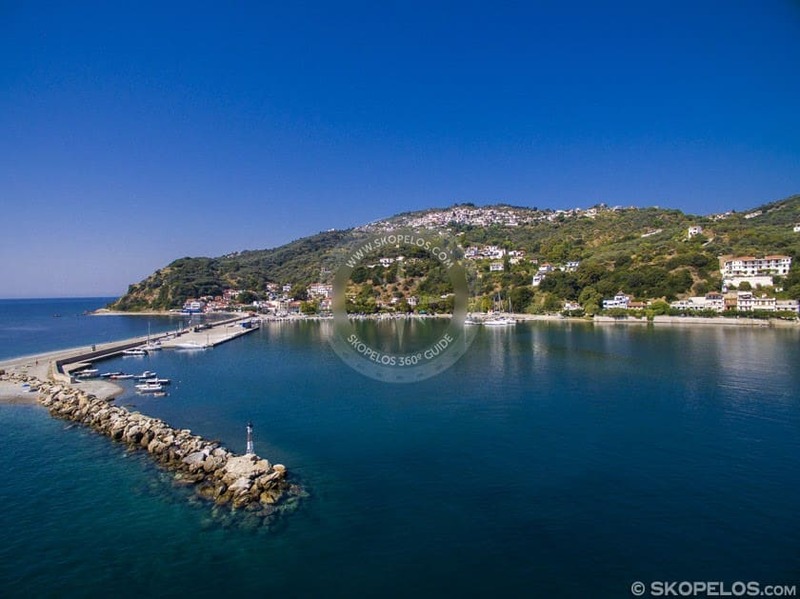 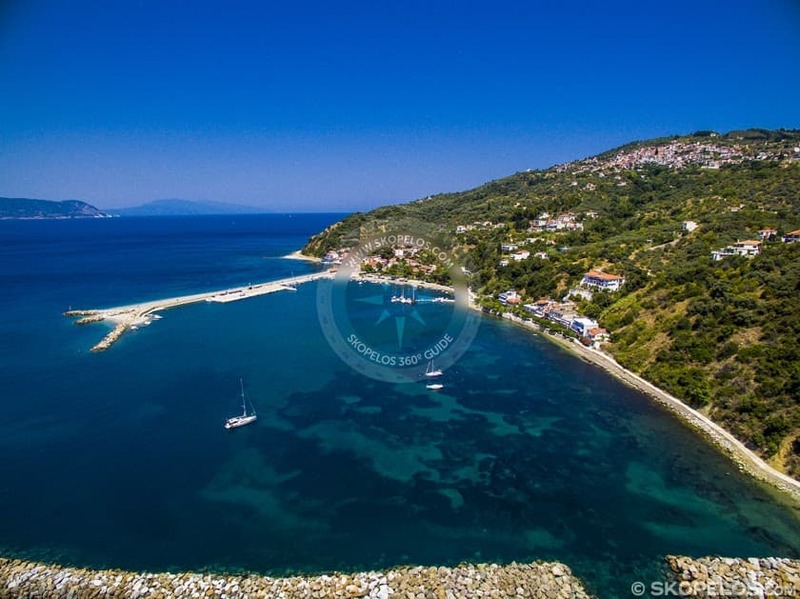 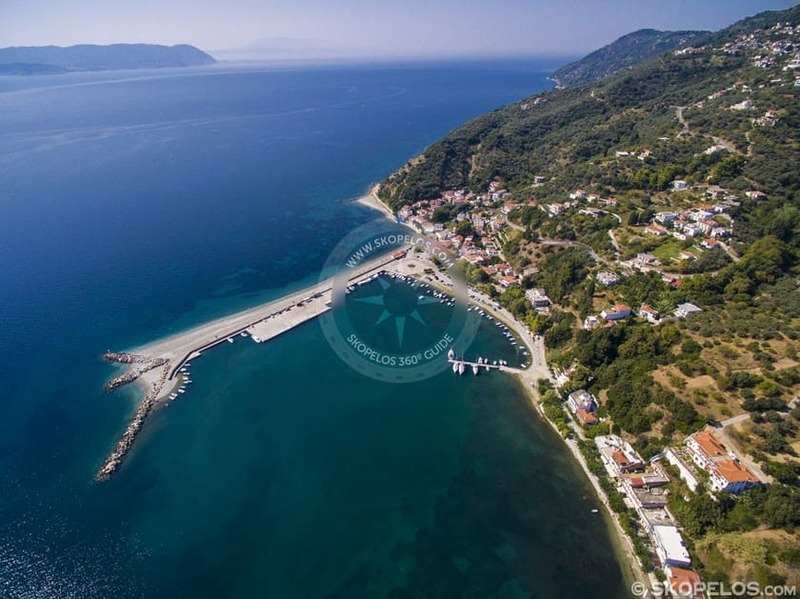 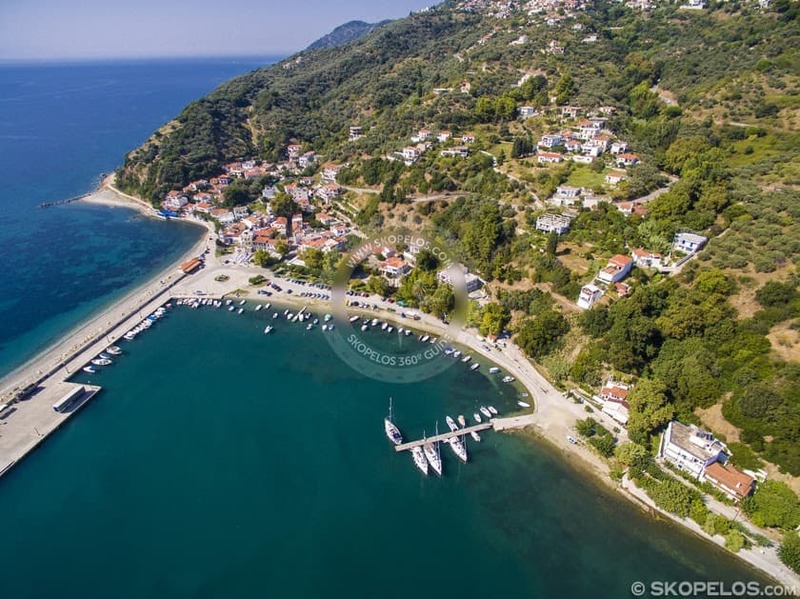 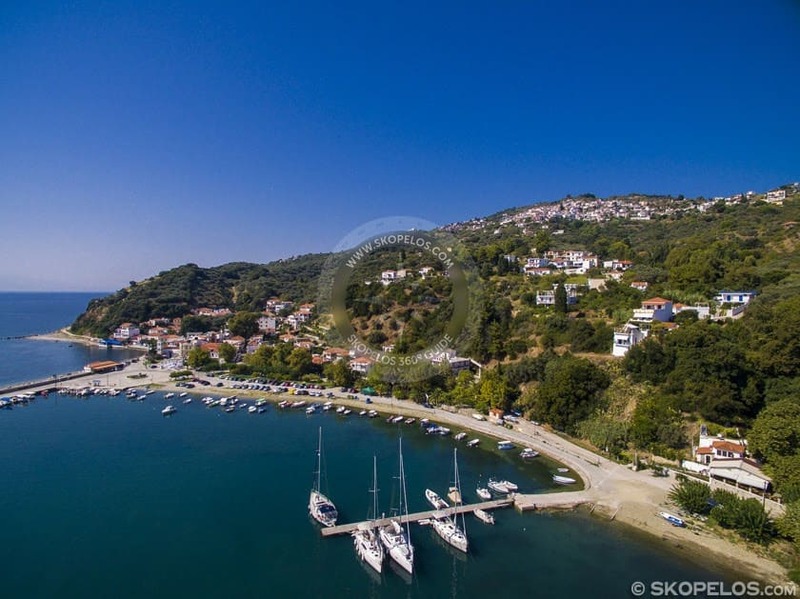 Loutraki is the seaport of Glossa and the second port of Skopelos. 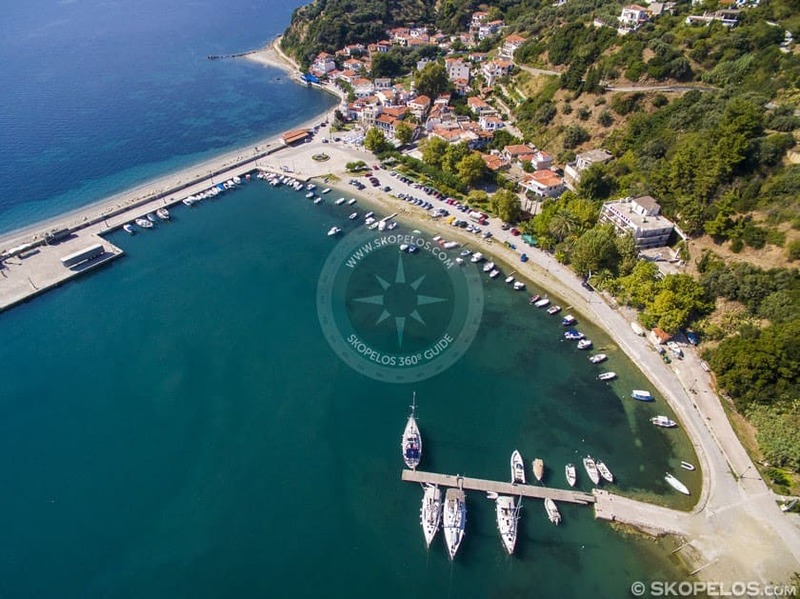 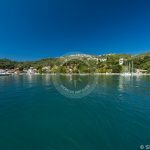 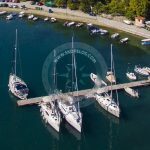 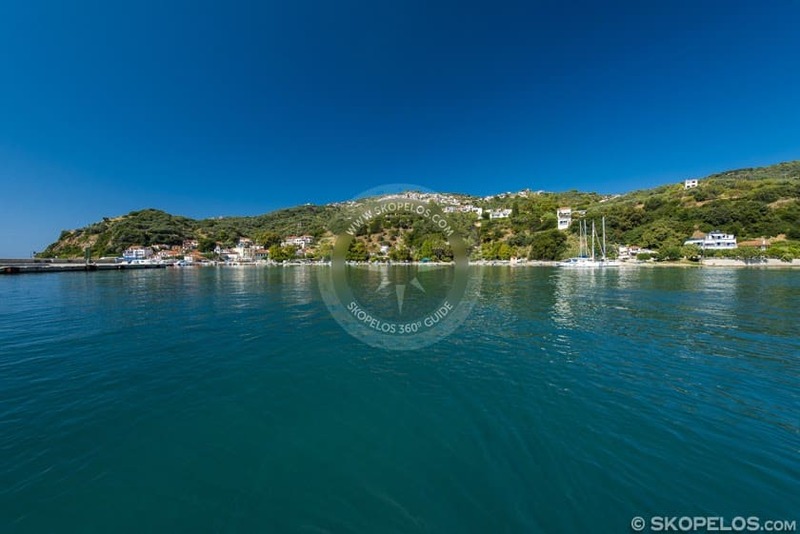 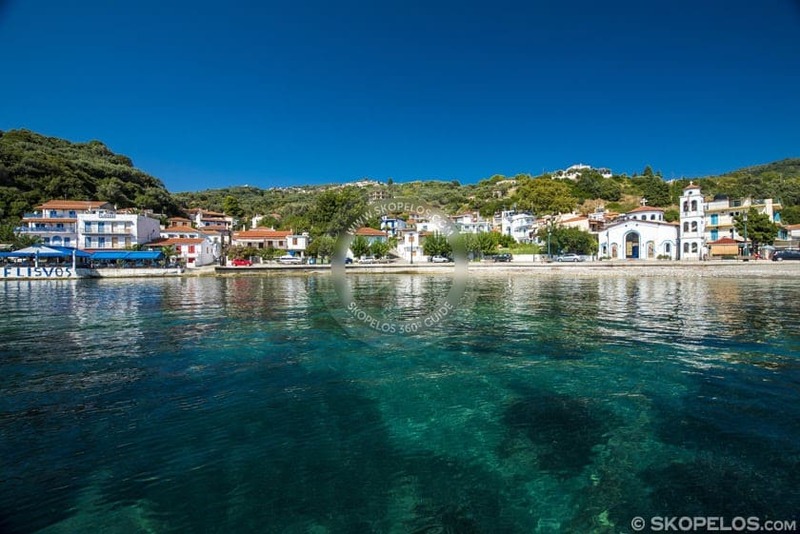 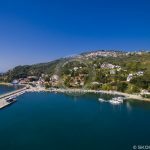 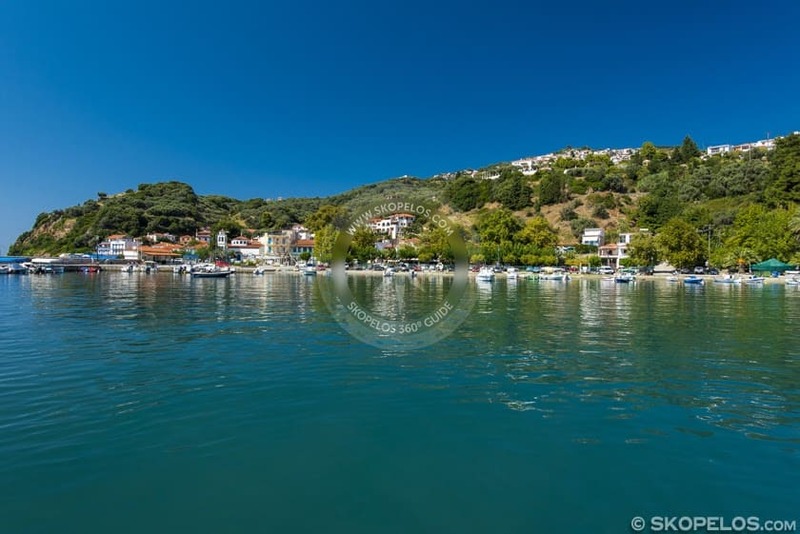 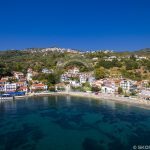 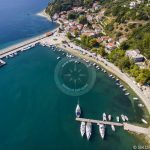 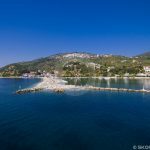 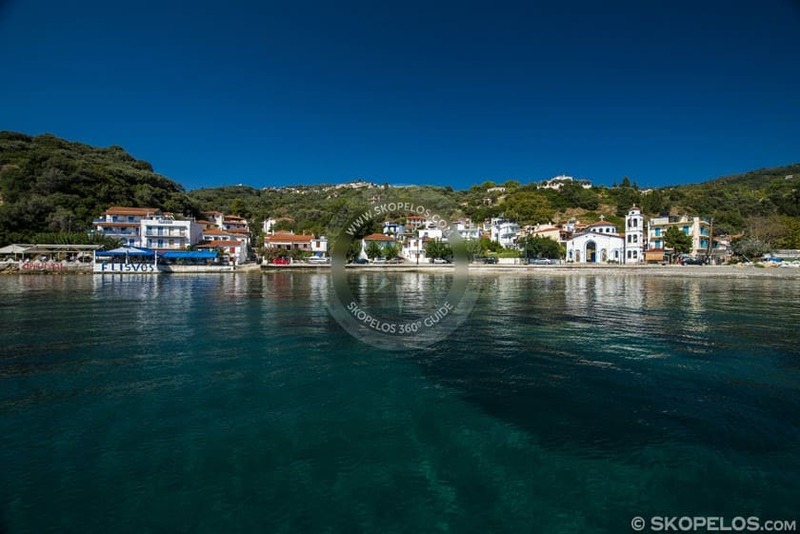 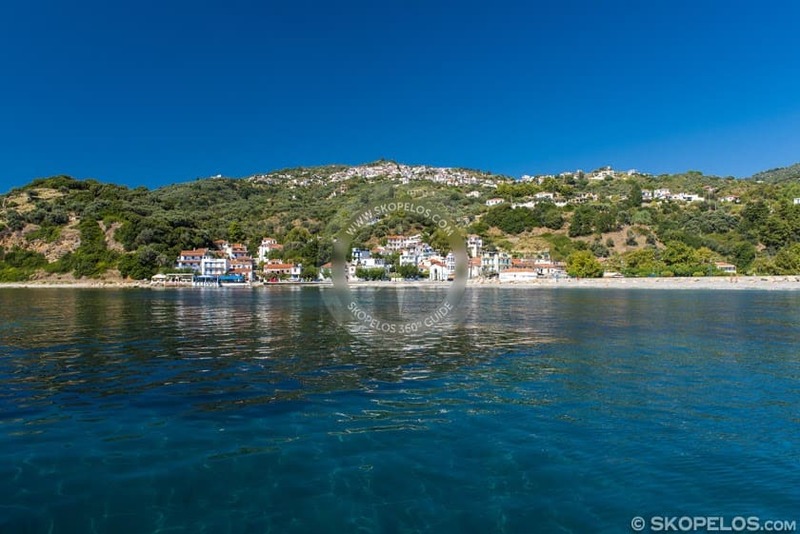 It is the first port you reach coming from the mainland of Greece or from Skiathos island. 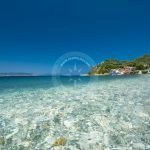 At Loutraki seaport, there is an organized, pebble beach, where you can swim. 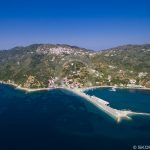 Loutraki was the ancient city of Selinous which was founded in the 8th century B.C. 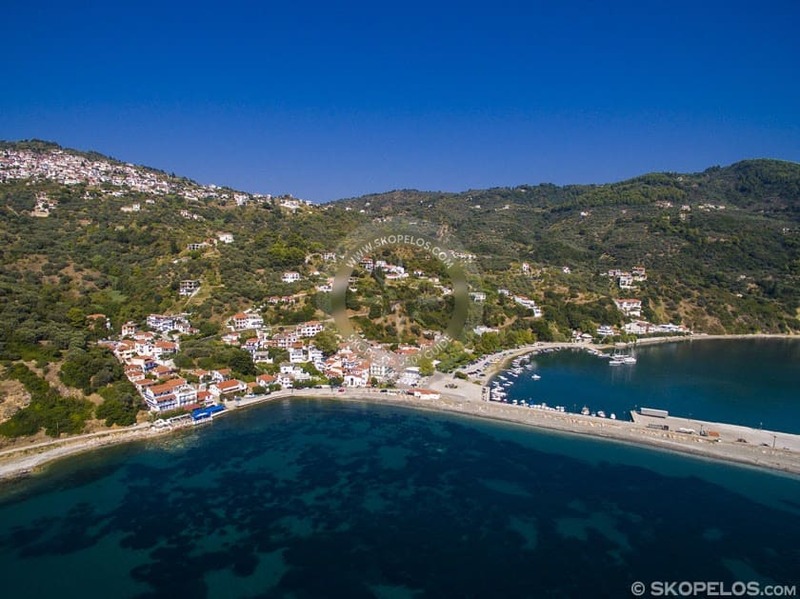 Today you can see the ruins of the walls of the city which flourished in the 4th century B.C. 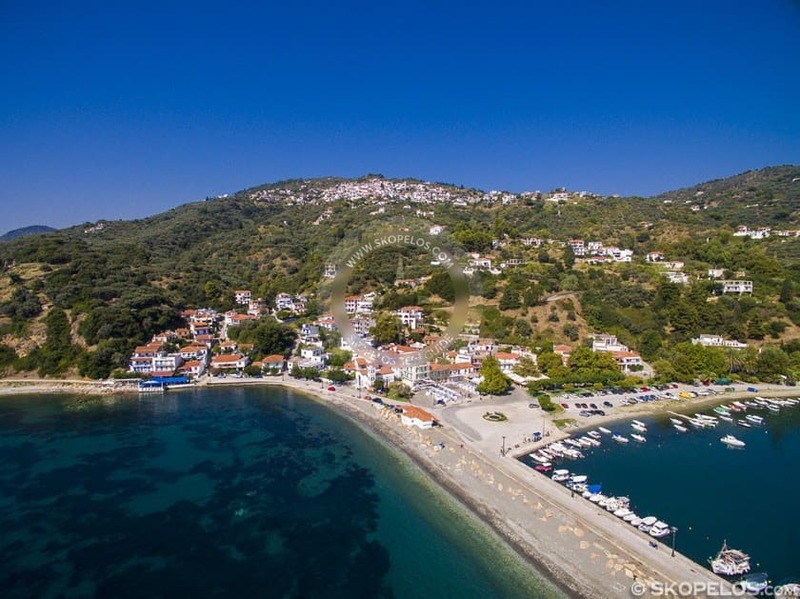 Many findings of that period are now on Volos Archaeological Museum. 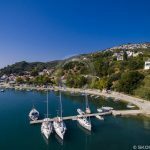 At Athens Archaeological Museum there is a marble statue of the ancient goddess Athena, which was found in Loutraki in 1865. 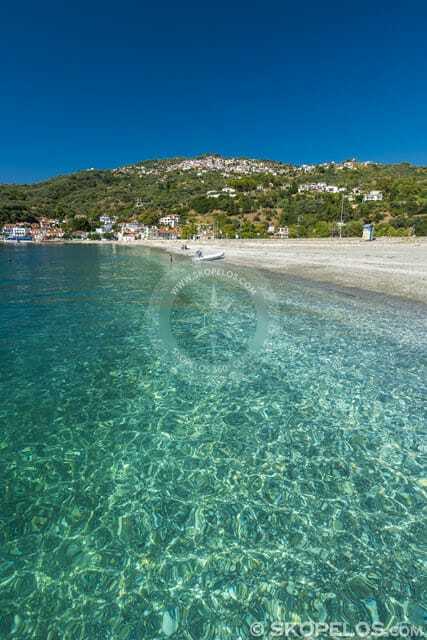 In fact it is a copy of the ancient sculptor Pheidias. 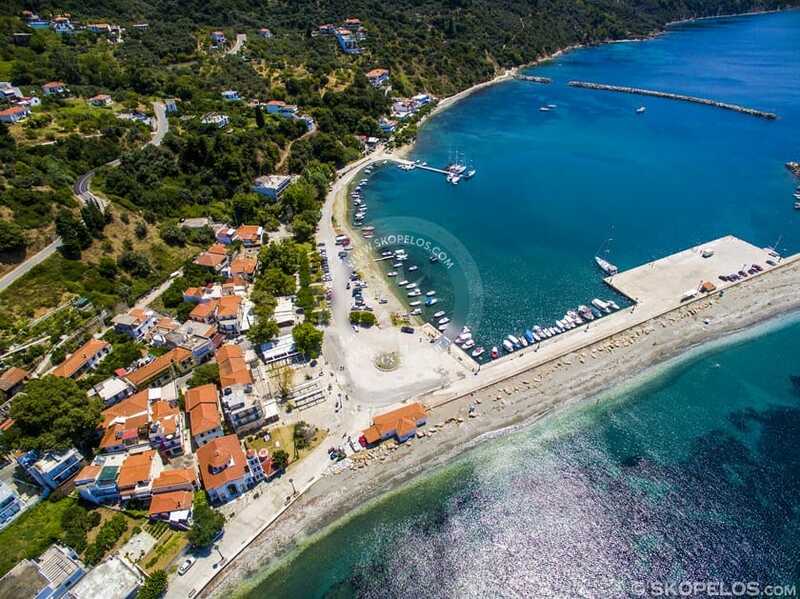 The town extends around the port. 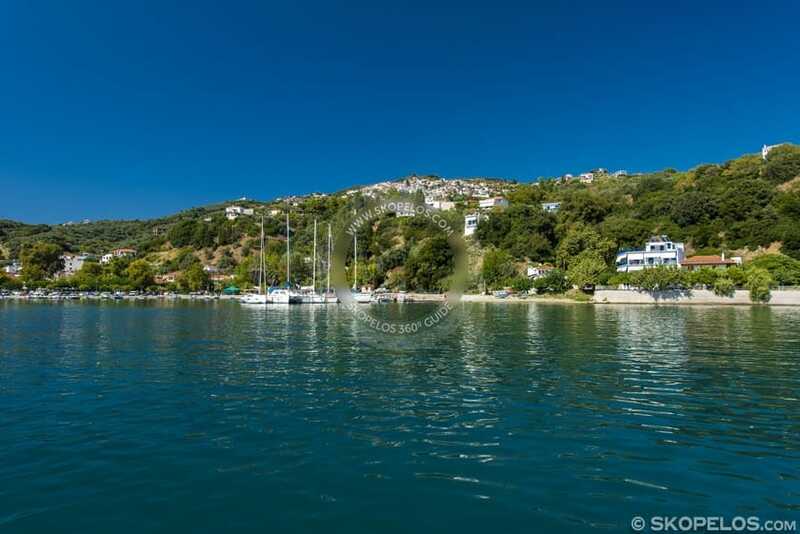 Even though large boats dock there, it hasn’t lost its charm. 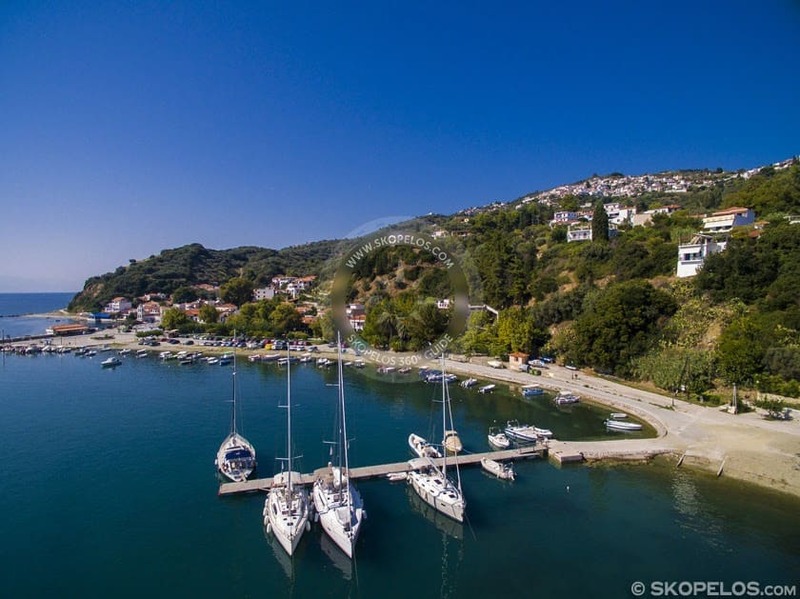 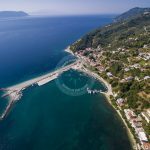 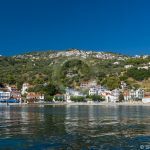 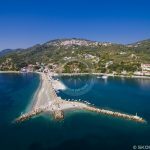 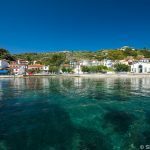 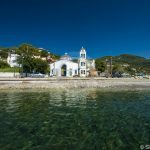 Loutraki, on Skopelos island, is amazing for visitors. 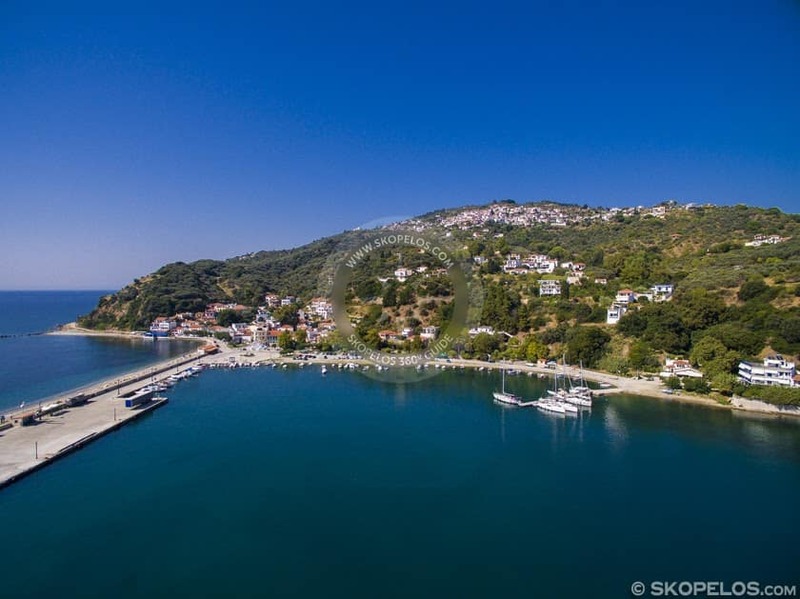 Especially because of the warm hospitality of its residents. 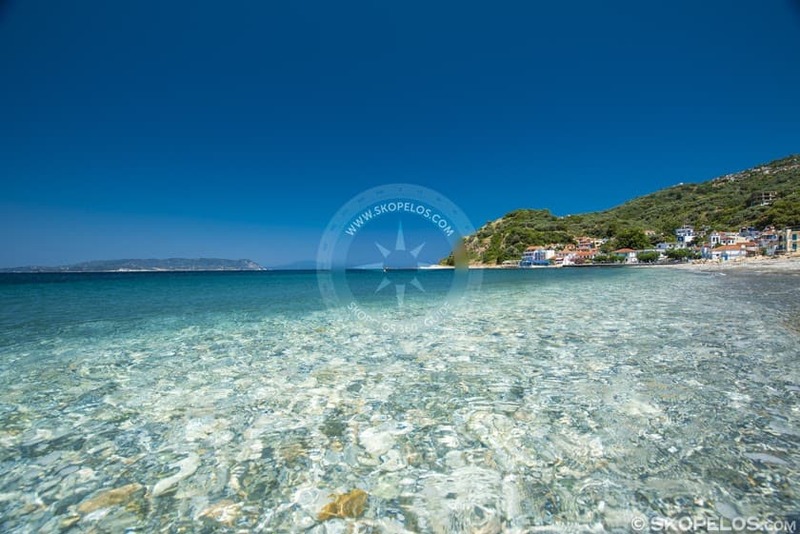 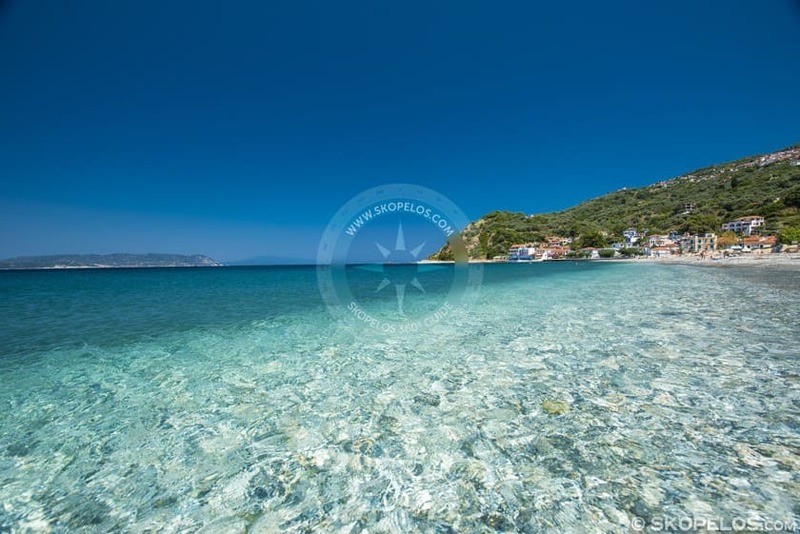 Moreover in Loutraki there are several hotels, studios and apartments for a pleasant accommodation. 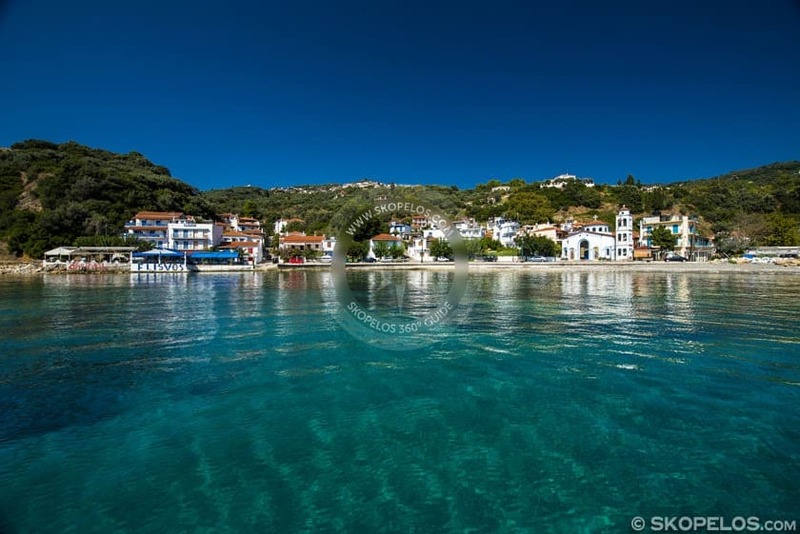 Loutraki port provides also tavernas, restaurants and cafes for the visitor. 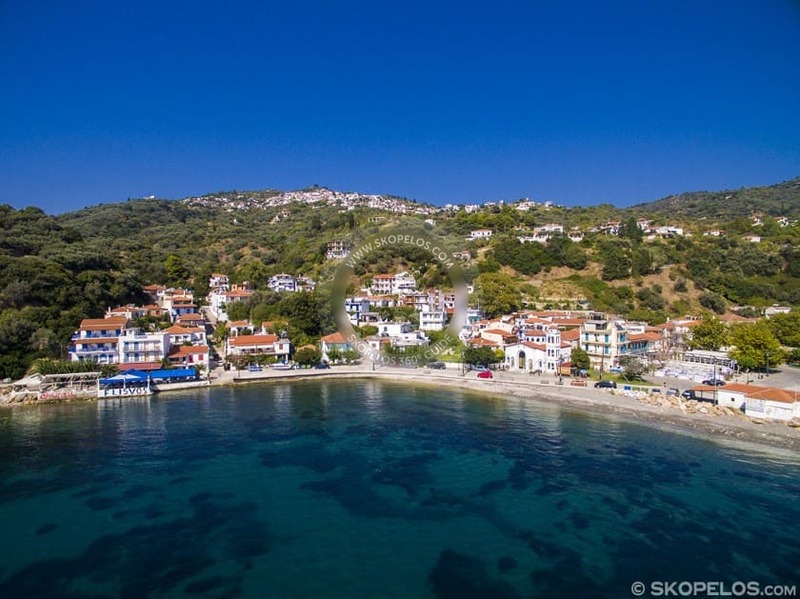 There are super markets and seasonal shops, too. 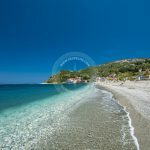 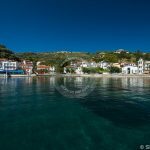 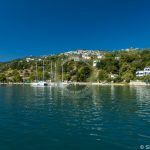 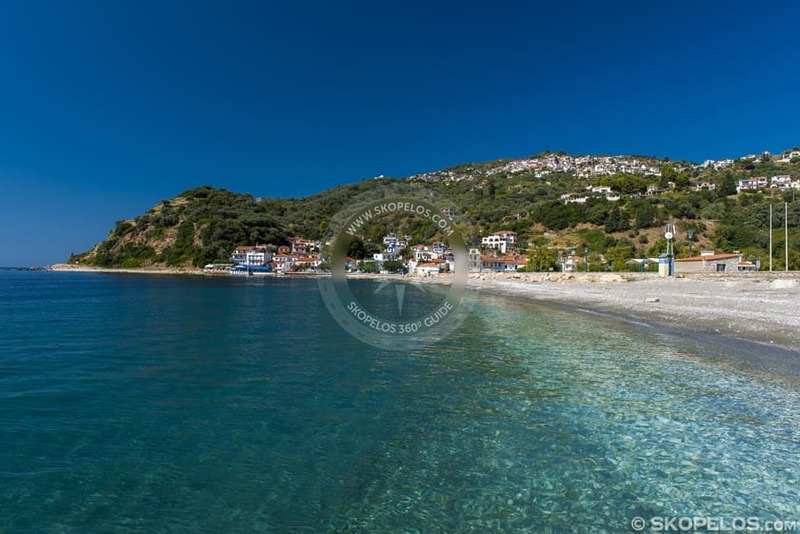 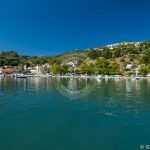 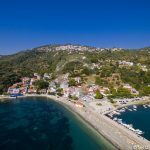 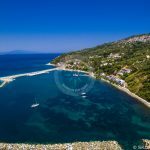 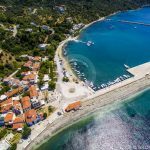 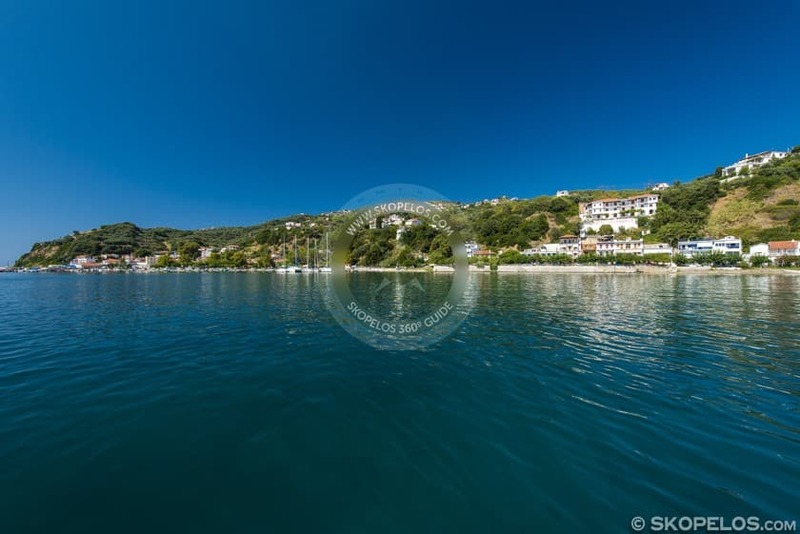 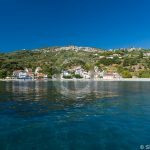 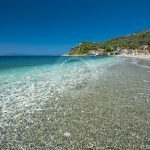 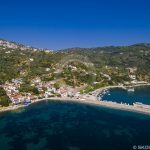 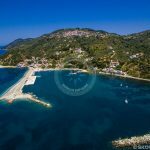 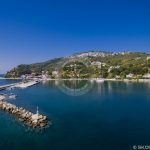 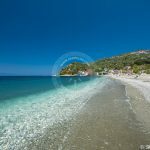 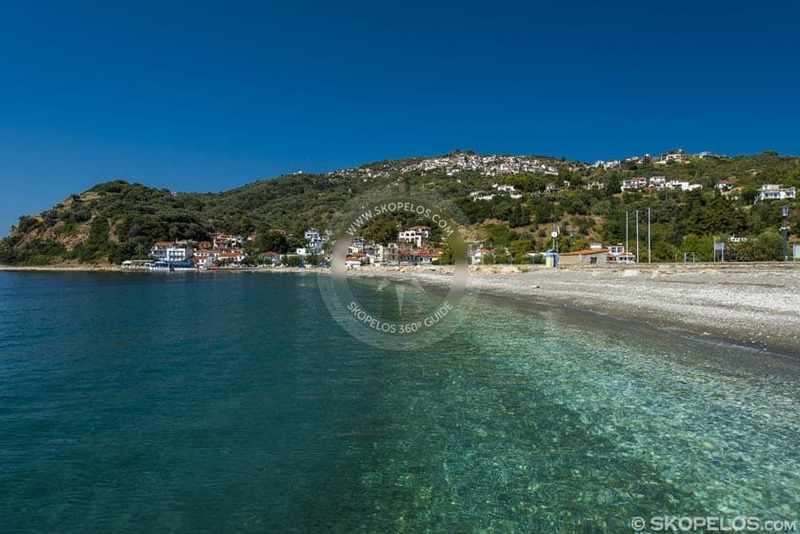 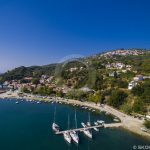 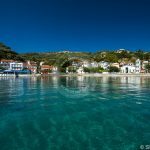 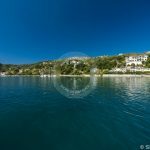 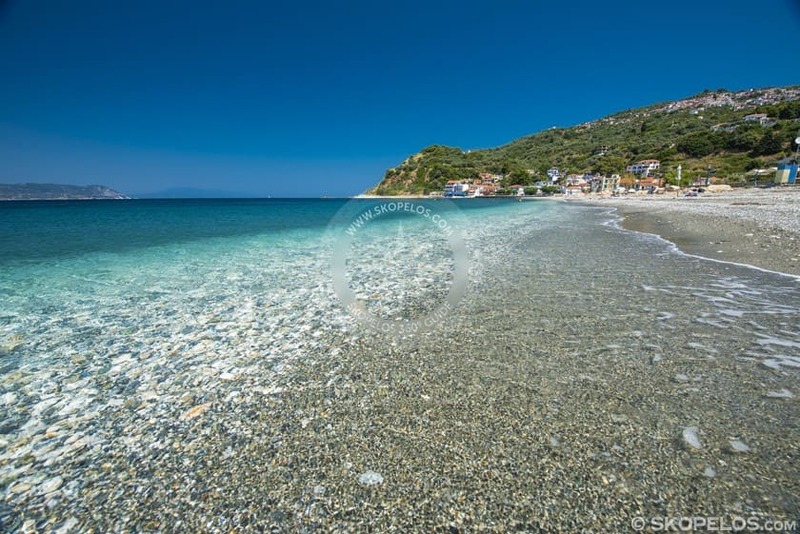 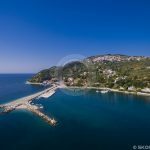 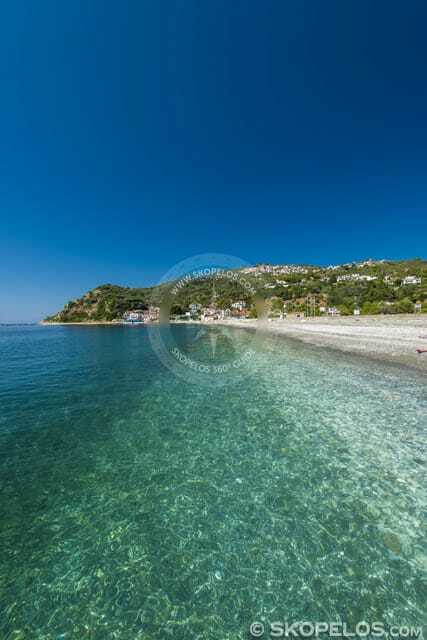 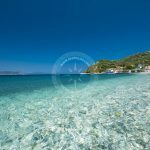 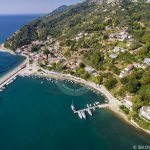 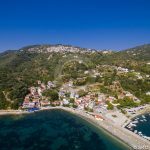 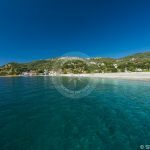 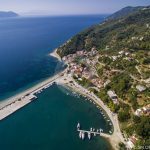 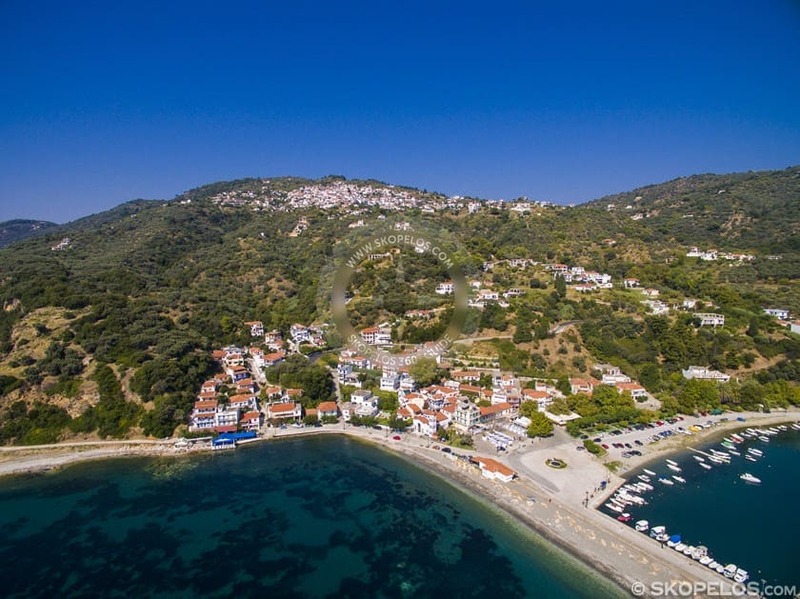 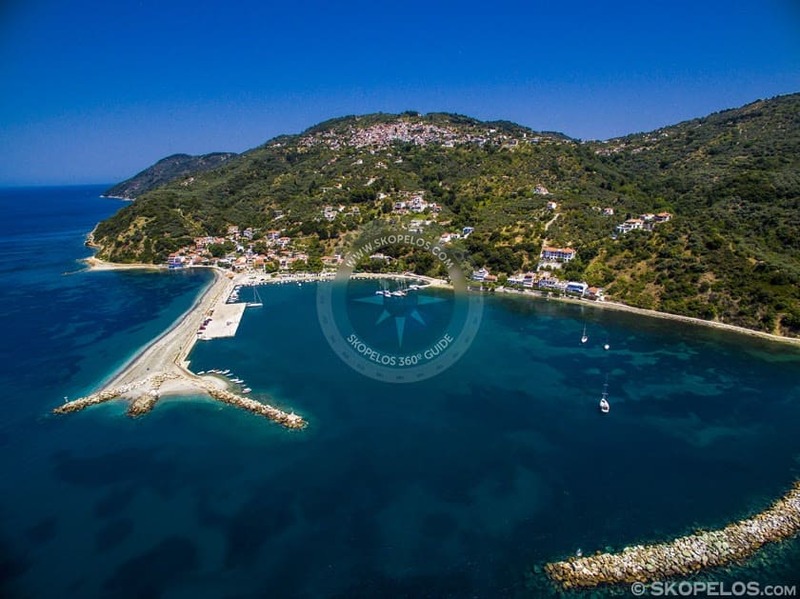 Loutraki is 28,5 kilometers from Skopelos Town and port. 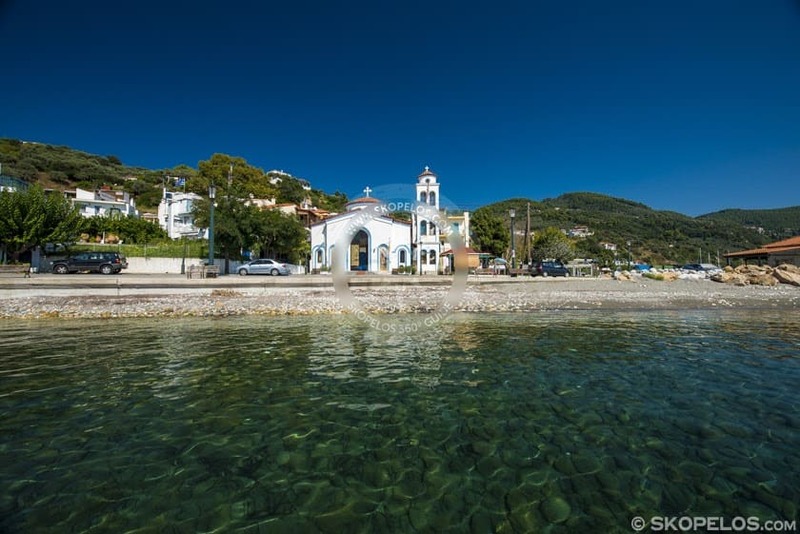 By car you need approximately 40 minutes, if you follow the road to Agios Riginos. 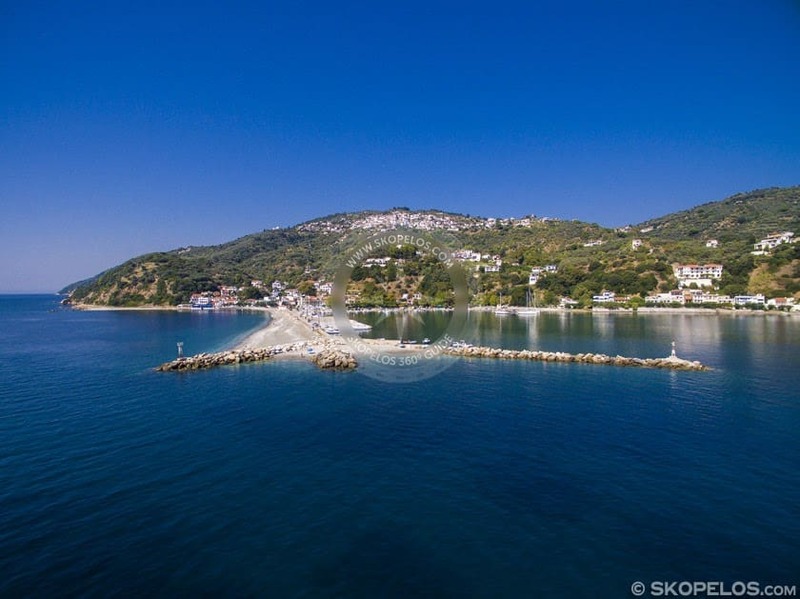 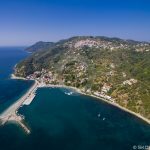 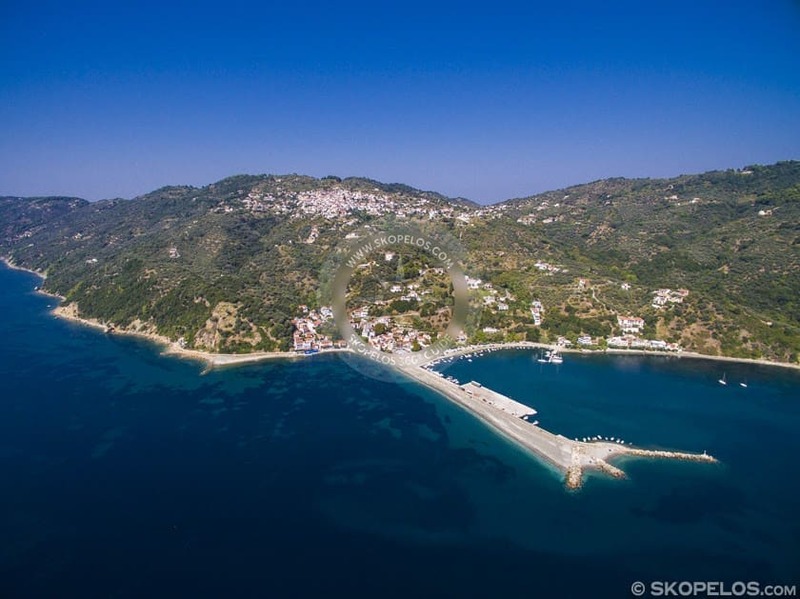 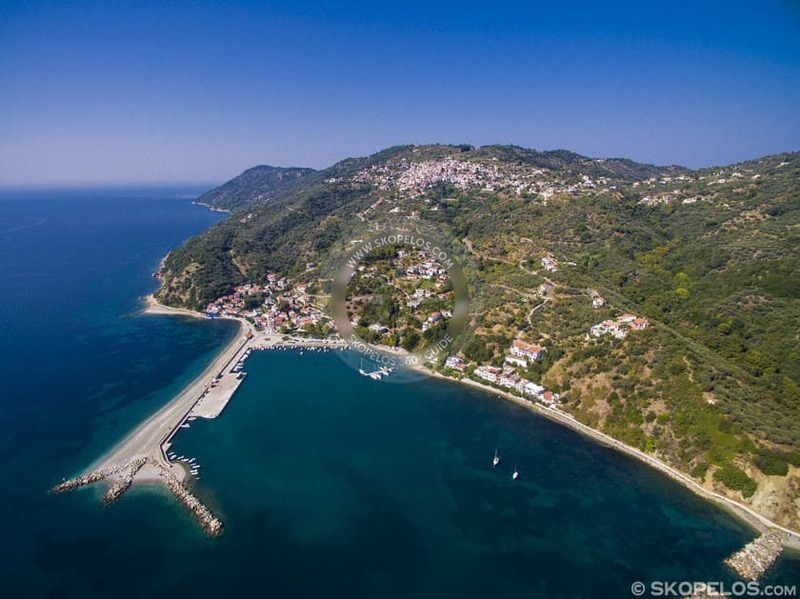 If you prefer to drive from the coastal road, the distance from Skopelos Town is 33 km. 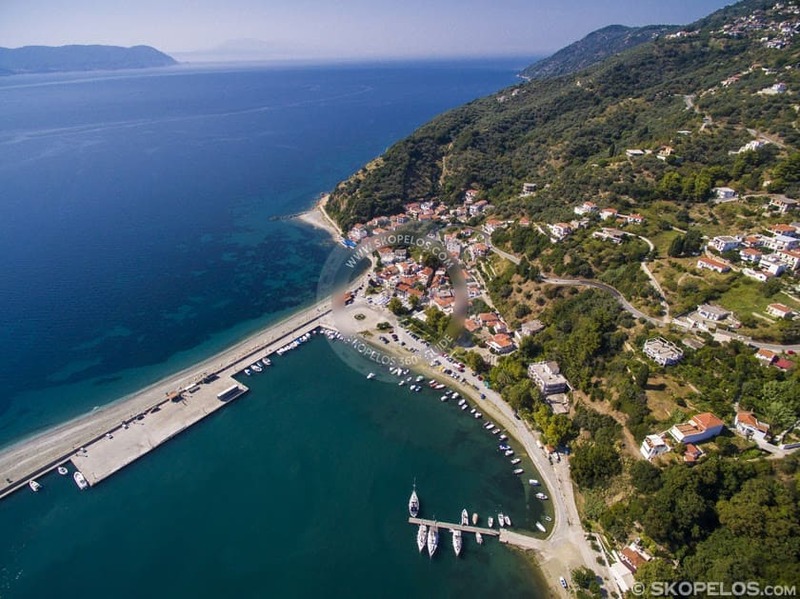 So, by road you will need about 45 minutes.